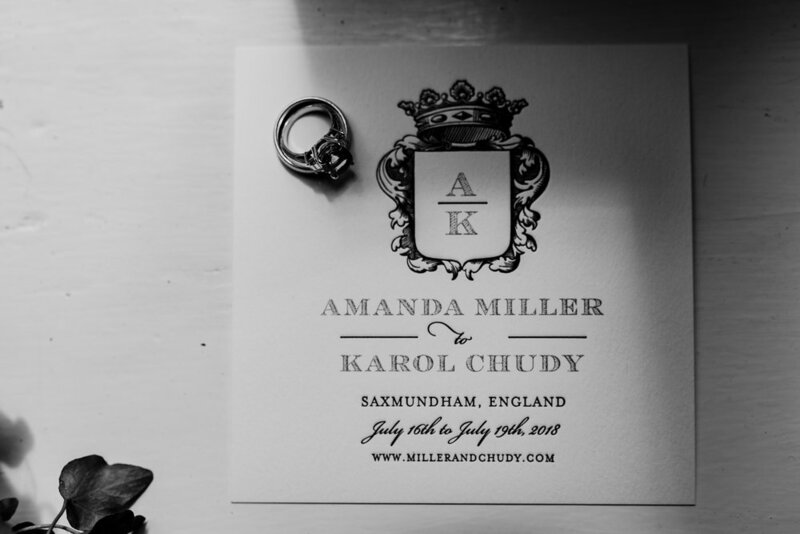 Amanda and Karol first contacted us because they were creating a wedding that oozed English elegance and sophistication, but with a touch of NYC glitz and glamour! They had their exquisite countryside wedding venue booked, a vision and a few pieces of their beautiful day in place but they needed someone on the ground to pull it all together and deliver the most amazing day….oh and there was the added issue that they live in Manhattan! Amanda and Karol are from the USA, met in college and moved to NYC. 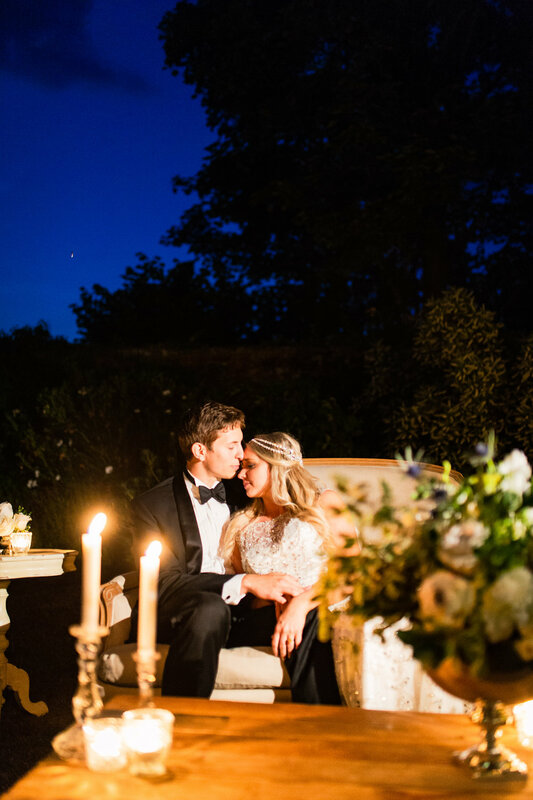 Amanda had a love of all things British (especially Downton Abbey) and dreamed of a classic English wedding with her nearest and dearest. 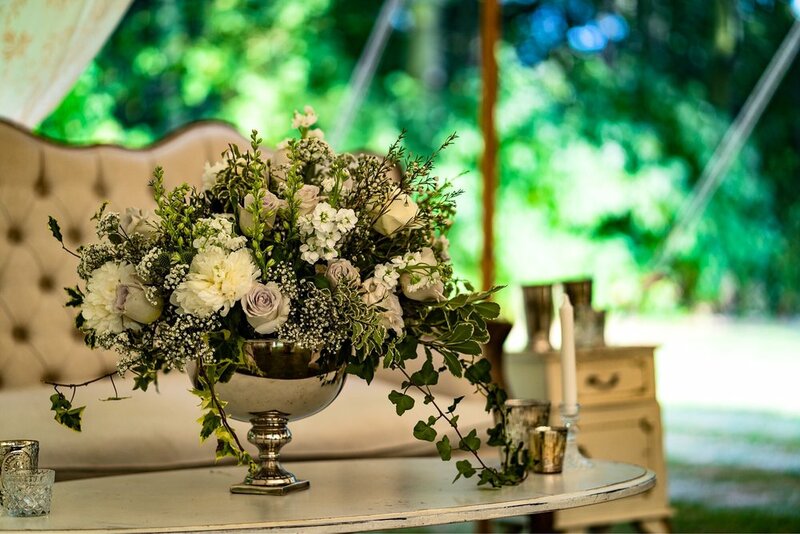 Their intimate wedding at Bruisyard Hall in Suffolk took place on a glorious summer’s day, we loved pulling Amanda’s vision together, providing floral styling and dressing the venue as well as co-ordinating their day. Alex Beckett captured the day perfectly and we’re delighted to be sharing a selection of the images with you today. We created a floral installation at the top of the aisle on a wooden arch way inspired by an image Amanda fell in love with on Pinterest just after their engagement. We love working with florals and specialise in creating installation like this one. We also created floral installations within the beautiful bruisyard hall on top of the mantle-pieces in the drinks reception room and bridal suite. Louis Chairs were the perfect choice for the ceremony and reception to seat Amanda and Karol’s closest friends and family. 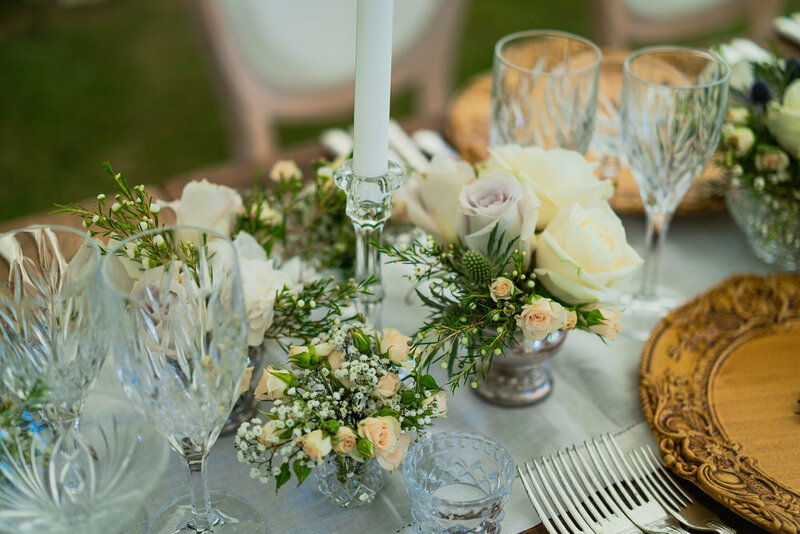 we lined the aisle with earl grey rose petals and antique mirror trays of candles and delicate posies. HEr parents walked her down the aisle to debussy’s clair de lune, expertly performed by Scintillo String Quartet. 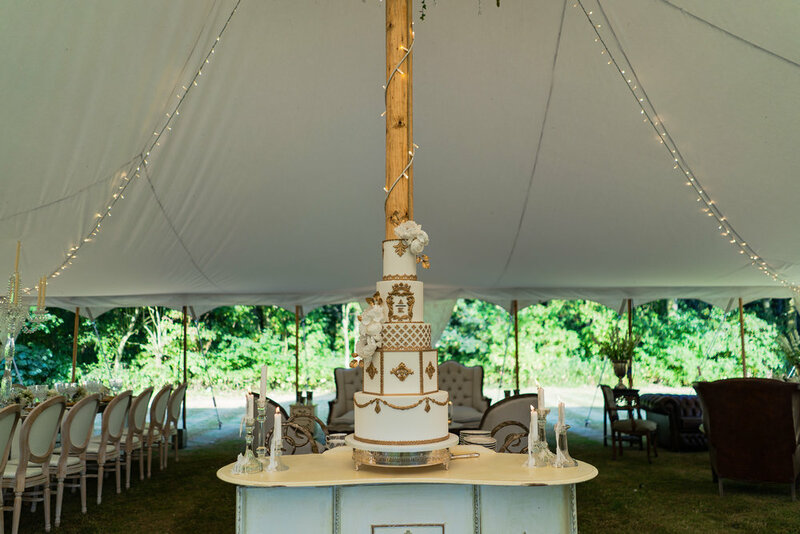 The Pearl Tent Co. provided this beautiful pole marquee and lighting which we set on the lawn beside the historic Bruisyard Hall. Inside we created various vignettes of furniture along with a long luxurious dining table, bar and cake table. We loved styling the marquee and each of the vignettes in this stunning location using a variety of amazing hireware from The Prop Factory, Academy furniture hire, Classic Crockery, allens hire and wedding day hire. The beautiful cake was made by Helen at Amelie’s Kitchen. 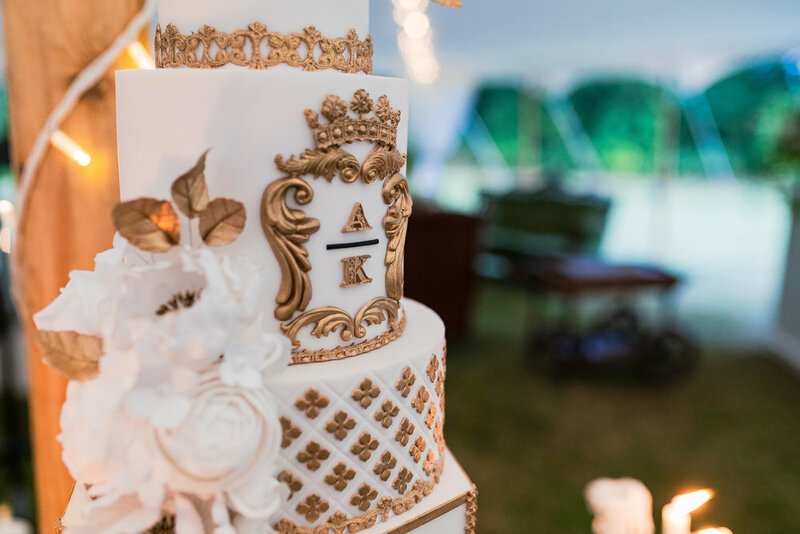 It featured hand crafted sugar roses and gold embellishments including Amanda & Karol’s wedding monogram. It stood as a centrepiece in the marquee, underneath a hanging wreath of foliage made by Myrtle and Mint, strings of crystals and fairy light canopy. 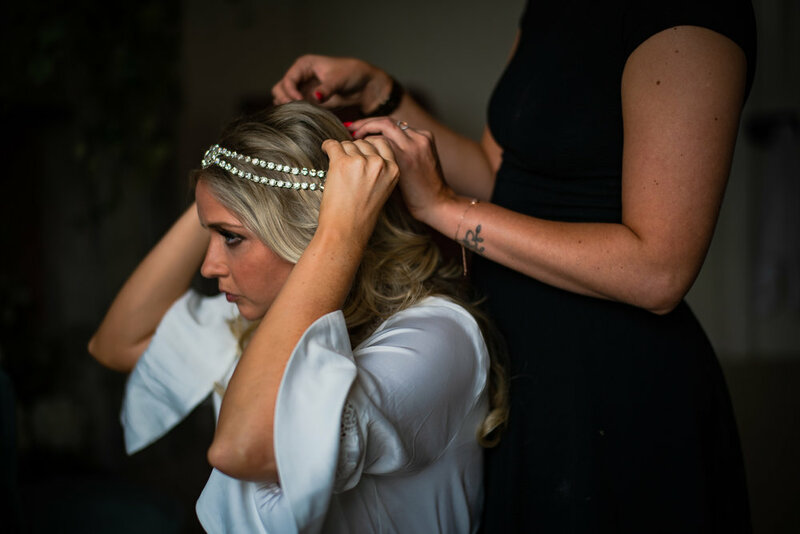 It was such a joy working with Amanda and Karol, they knew exactly how they wanted their day to unfold and helping them to create that was a pleasure. We love every wedding we are lucky enough to work on and Amanda and Karol’s is certainly no exception.